A Pessimist Is Never Disappointed: Dot Dash: Hugh Cornwell (ex-Stranglers) Gig is Friday and Here's A Free MP3 Today! 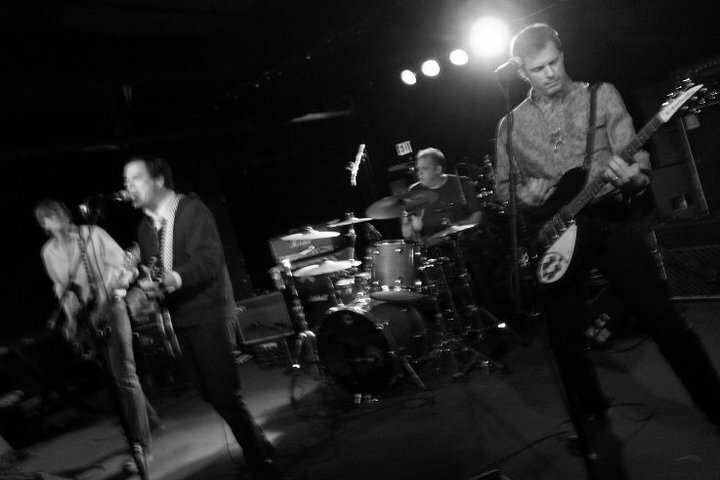 Dot Dash: Hugh Cornwell (ex-Stranglers) Gig is Friday and Here's A Free MP3 Today! I'm gonna start calling these guys the American Doves. You can easily pick out the influences when you listen to a Doves track like the surging "Catch The Sun" -- Joy Division, New Order, and other Manchester bands. However, Doves make those familiar elements into a totally new thing. They create their own identifiable sound. D.C.'s Dot Dash are doing the same thing. Wire, Buzzcocks, New Order -- maybe a touch or two of The Clash; think "Stay Free" and "Guns On The Roof" and not "Rock The Casbah" -- and other post-punk bands all pieced together in a unique way. You have doubts? 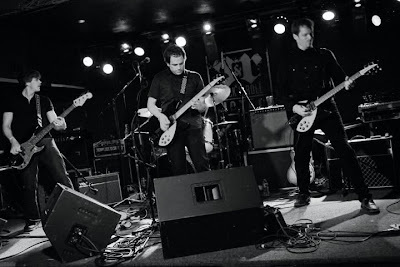 Check out the free MP3 of "Dissolve" from debut album Spark>Flame>Ember>Ash below. I'm a bit partial to the basic voice/guitar/bass/drums format -- though Dot Dash have got 2 guitarists -- and I like short, punchy songs. 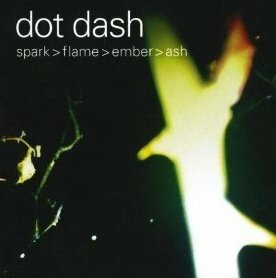 There's not a lot of fluff on Spark>Flame>Ember>Ash, just 14 lean-and-mean songs in the vein of Wire and Buzzcocks. "Dissolve" is yearning and nearly anthemic. The drums, from Youth Brigade/Strange Boutique/radioblue/Swervedriver vet Danny Ingram, have a touch of the heaviness you can hear on something like "She's Lost Control" by Joy Division, and the bass-work from Hunter Bennett echoes the sort of forceful bass-lines Peter Hook would throw down next to Stephen Morris, and the twin guitars of singer Terry Banks and Bill Crandall recall The Skids. Props too to producer Eric Tischler (leader of The Jet Age, ex-The Hurricane Lamps) for capturing this so successfully. To put it simply: it's as if "Love Vigilantes" had been kicked into life by Ian Curtis and JD and not a Curtis-less New Order. Can you tell that this may be my favorite song on Spark>Flame>Ember>Ash? I hope they play this one tomorrow when they open for Hugh Cornwell. Dot Dash are opening for Hugh Cornwell, one-time lead singer of punk/new wave/alternative legends The Stranglers, in Rockville at Montgomery College tomorrow (Friday, October 21, 2011). Details here.